Take a visual eye trip with the Prism Verdone Tile. Made from marble, this multi-tonal 13.5 x 7.75 mosaic tile is a new level of unique. 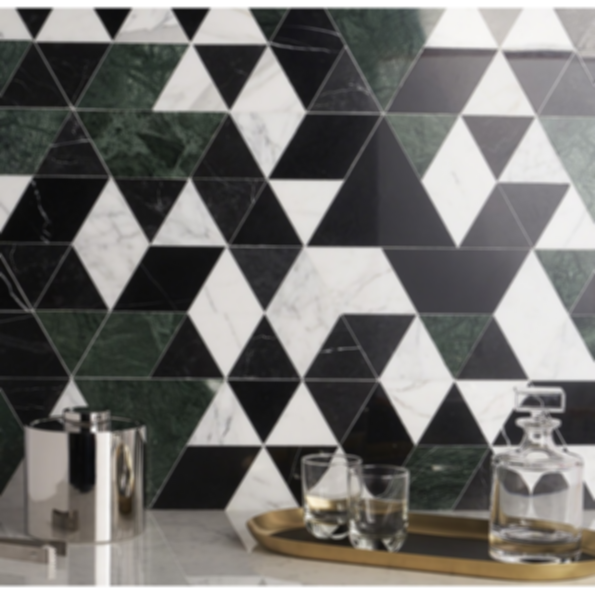 Featuring forest green, white, and black you can arrange the tiles into diamonds, triangles, or parallelograms. Perfect to use on the floors of your bathroom, living room, or kitchen to create a mesmerizing atmosphere. No matter what you choose, one thing is for certain: You'll color all who see it impressed. Note: Each sheet features several tile patterns and no one sheet's pattern is alike. Sheet Size: 13.5" x 7.75"